I have a ton of half finished products and crafts. Boo me! 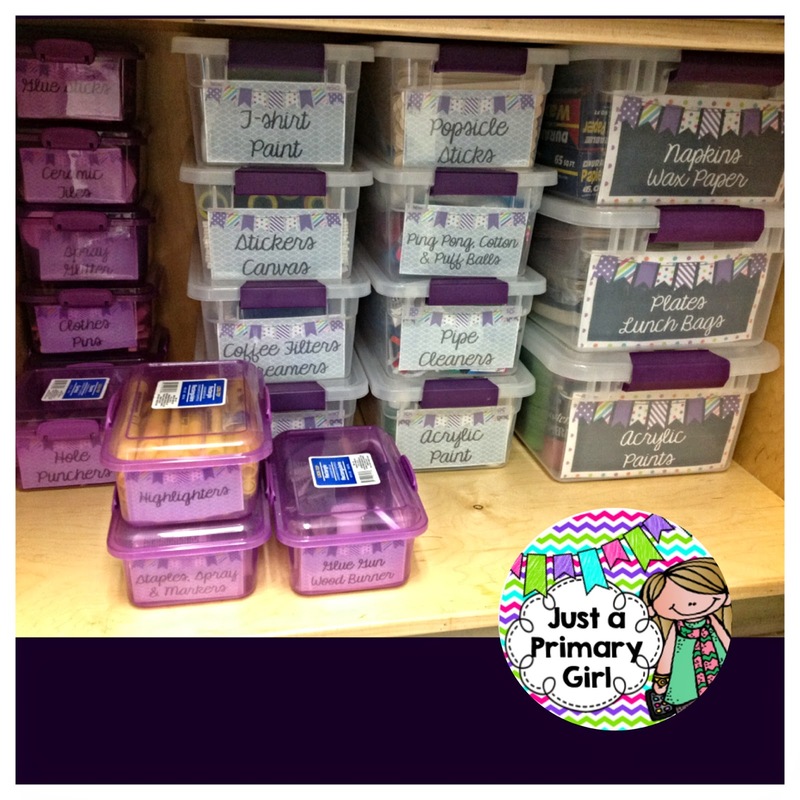 I have been asked several times about what I keep in my bins and shelves on the ends of my desks. My students are taught about the dictionary very early. I keep enough of those on the shelf for use. In the Big Table Bin, I keep student reading bags. Inside those bags I have their reading books (3 just right and 1 someday book) Then I have the early finisher pack my kiddos use, their calendar book, and their morning work pack. I keep them inside the bag because I don't want those items to become wrinkled. I know these don't go into their desks, so they are safe from rips, tears, and likely being lost. Then, I have my writing bin. 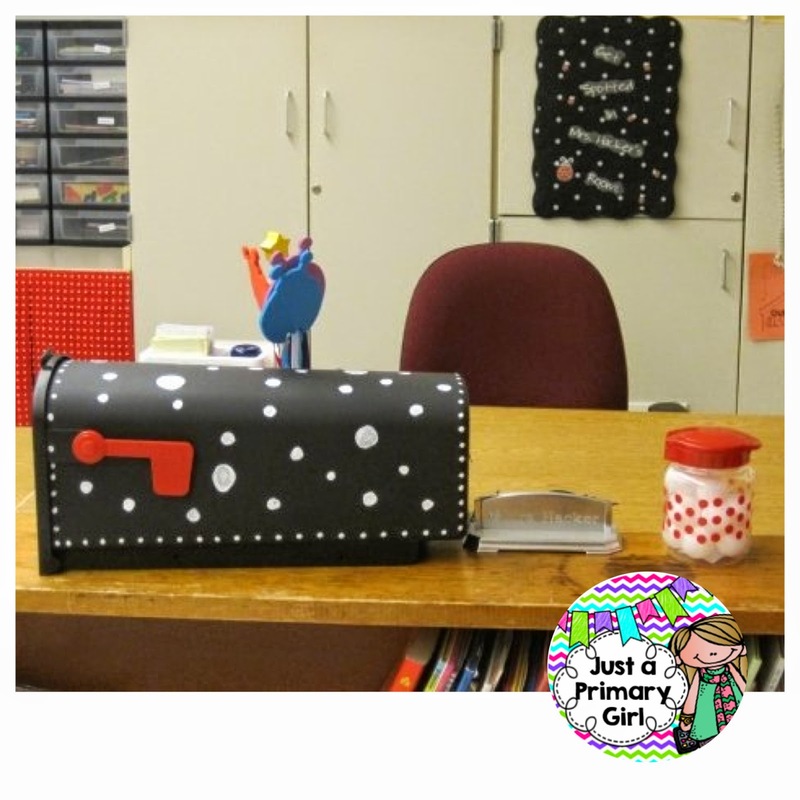 Each child has a folder. 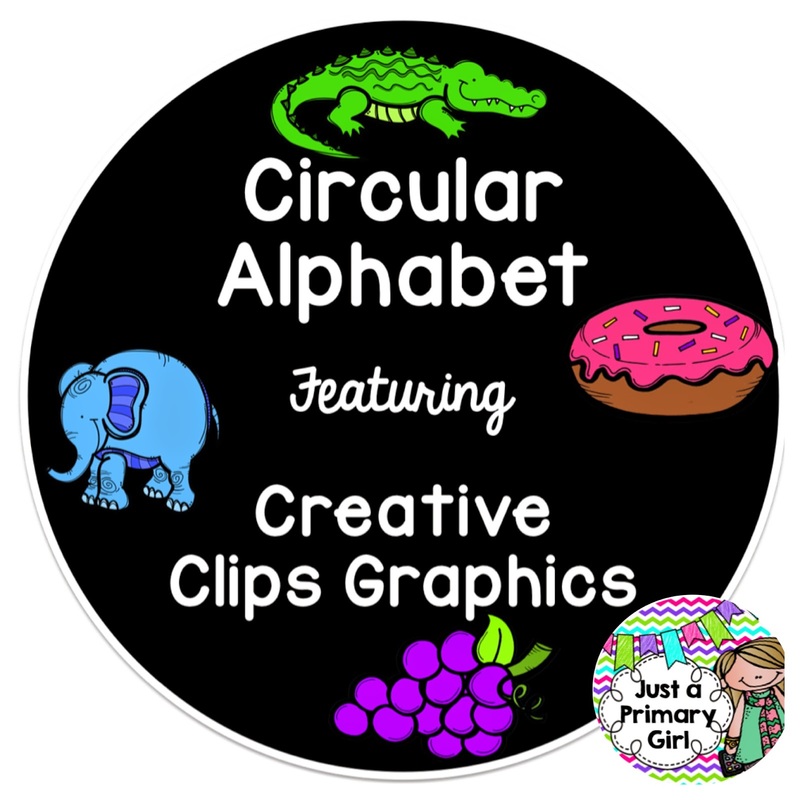 In that folder there are alphabet charts, word walls, and then any works they start or are in the process of making. It keeps them from being ripped and mangled inside those desks too! I also keep the Science books in the on the shelves, however, I used them exactly zero times this past year, so those will go away, and I think I am going to keep our new envision student workbooks for the nine weeks on it so it is easily accessible. 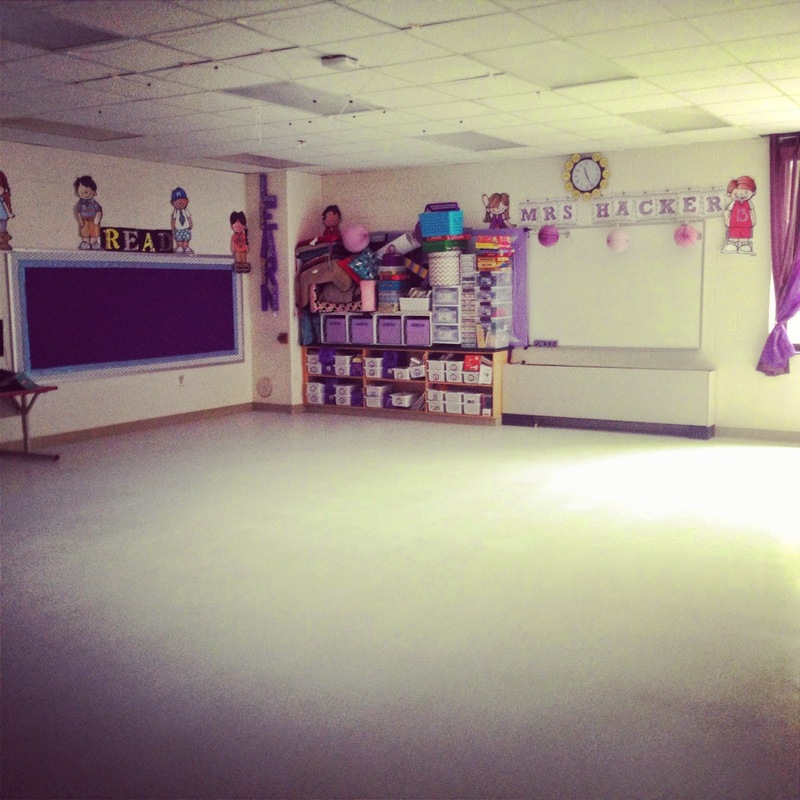 This was my room last year. Minus my new blue. I also got rid of the yellow this year! I got the shelves from walmart. They were two shelving units in half. I used three for my kids, and the fourth is behind my desk. They fit nicely with room to spare. I love that they have a spot for things they frequently use and will keep them from getting ruined. I have the writing folders in hanging file folders with their numbers to organize them easily. I am sure you can hold manipulatives as well or paper for student use too. 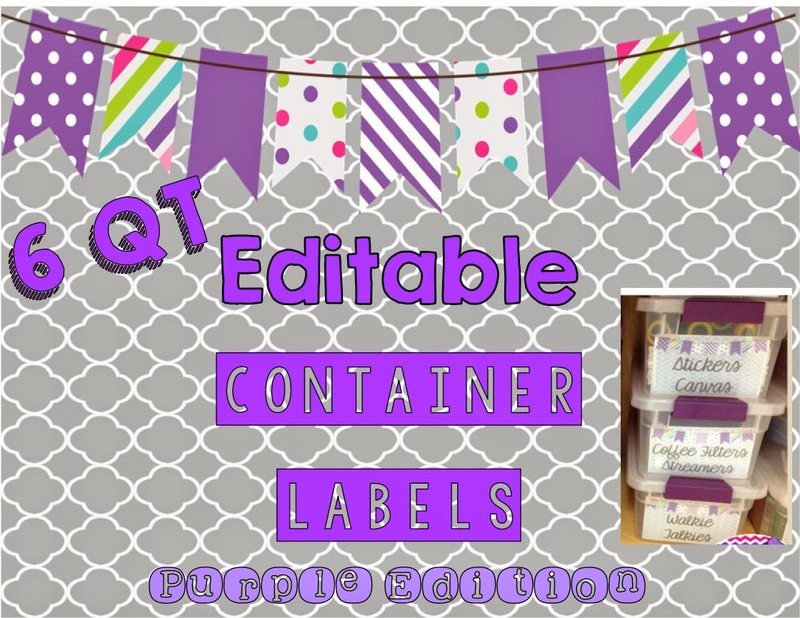 Since my color scheme has changed slightly, I decided to make some new bins labels for both the table numbers and and writing bins. I made two color schemes that I thought were popular. Turquoise and Blue and Purple and Blue. Below is what each one includes. 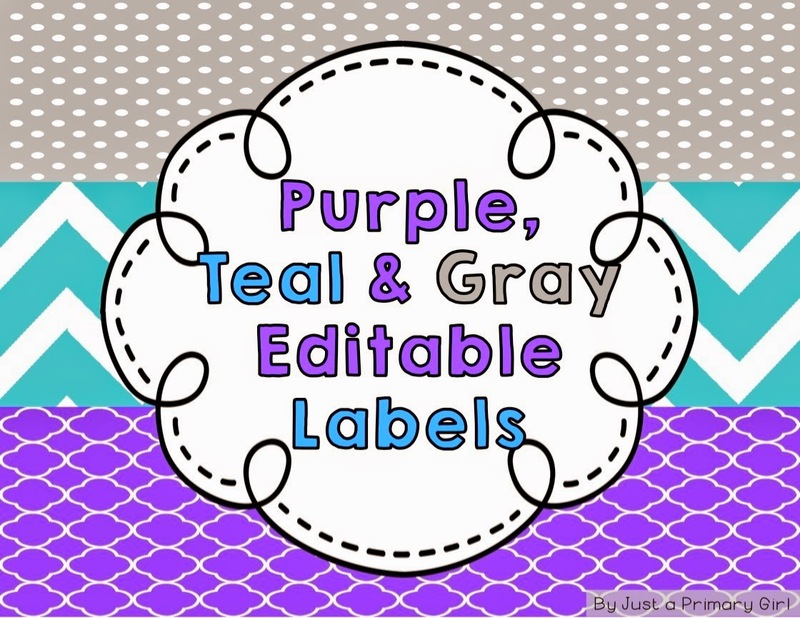 The purple one has more editable files because that is my color scheme so I just have more. 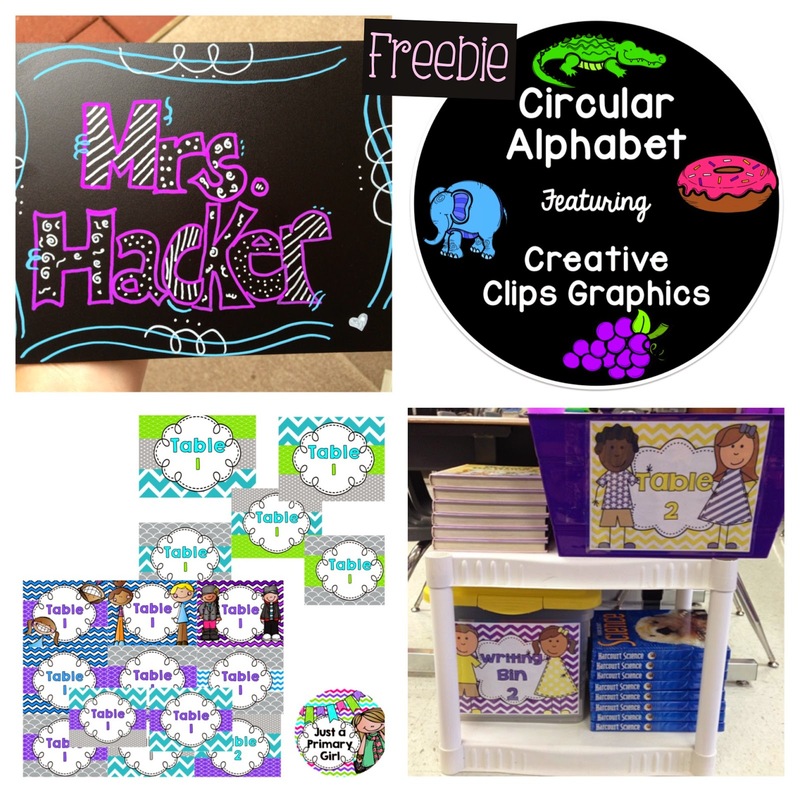 You can use these as product covers too in your TPT items, as long as you credit me. Click on the below pictures to each product. This is only the purple. If you would like the blue, green, or pink, please comment below and I would be happy to whip them up. 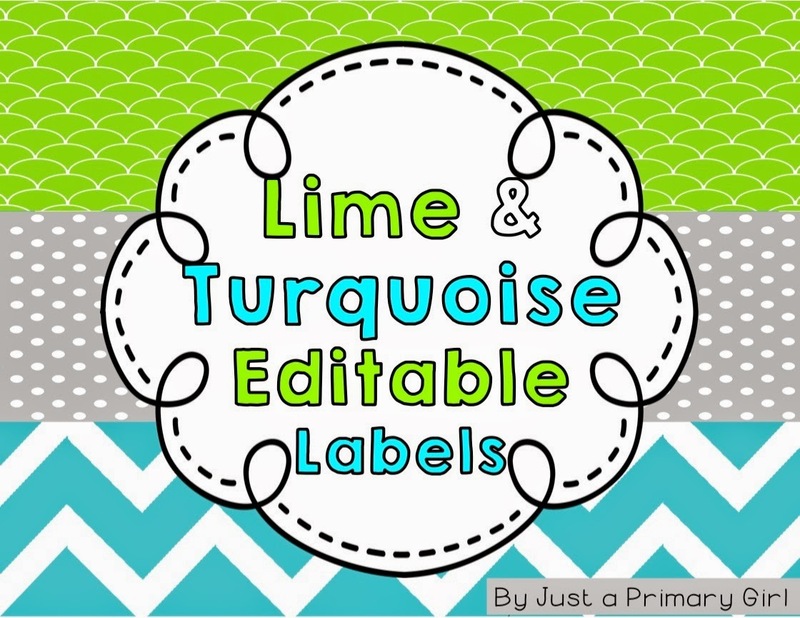 If you'd like to see other labels from the picture below, it will take you to my previous post and you can view those items too! I have so many unfinished things that I need to finish. Guess what?! I am allowed in my class on Tuesday! I am so excited!!!! Oh, I have been getting a TON of questions about the Melonheadz that are on my wall. I am a very lucky teacher that has an IMC (or Media center) where we are allowed to print posters. I printed each of these into 20wx30h. They are beautiful. I also use them for measurement during our non standard measurement unit. 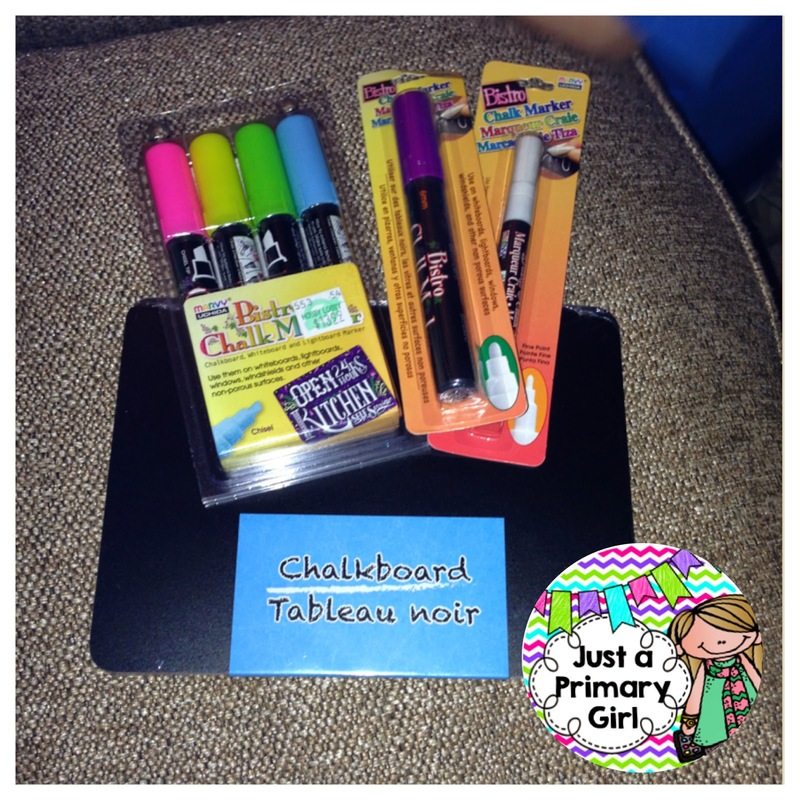 Have you seen the chalkboards at Dollar Tree?! I will be making my team little presents for the start of the school year. 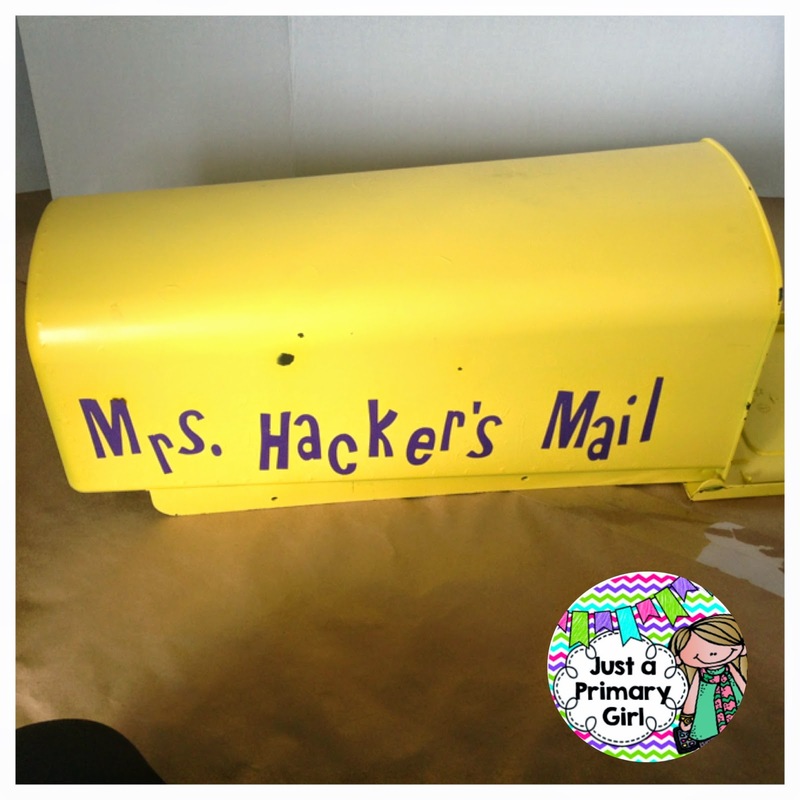 This is next week's Monday Made It - I love this mailbox. It has been a couple of different colors! 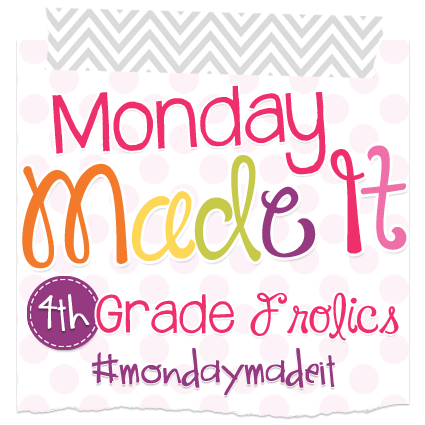 what is it going to look like next Monday! ? Your chalkboard gifts are super cute. 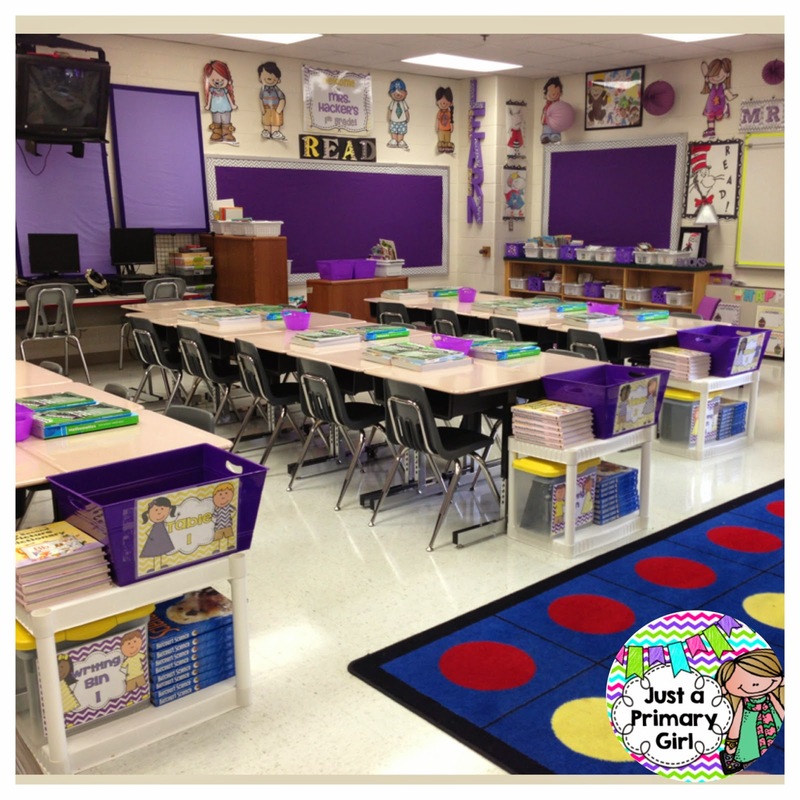 What a sweet thing to do to welcome your team back to school! So excited to see your room when it's finished! 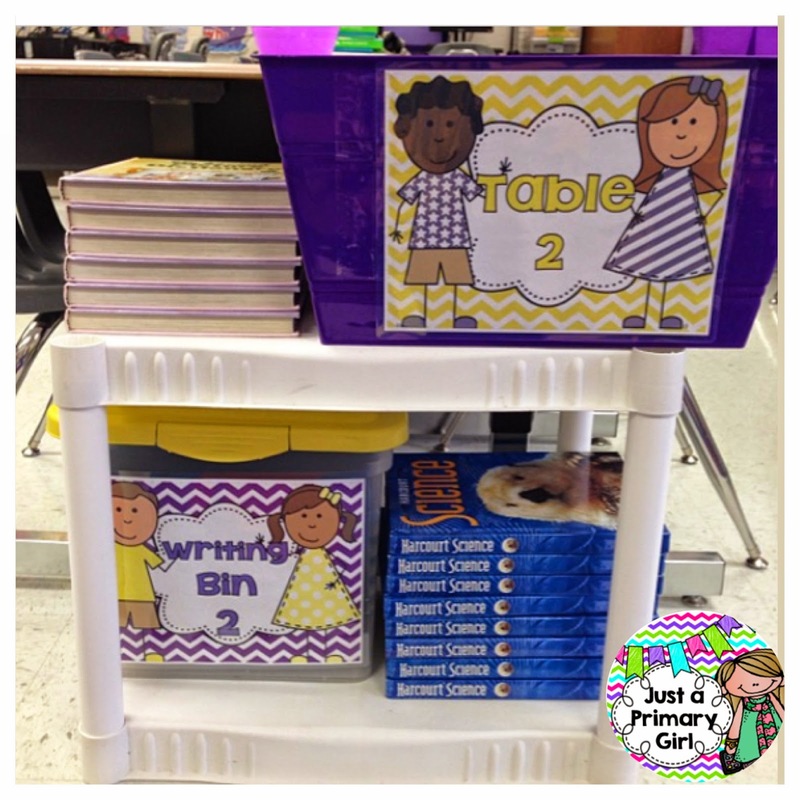 Love the shelf idea at the end of the tables. 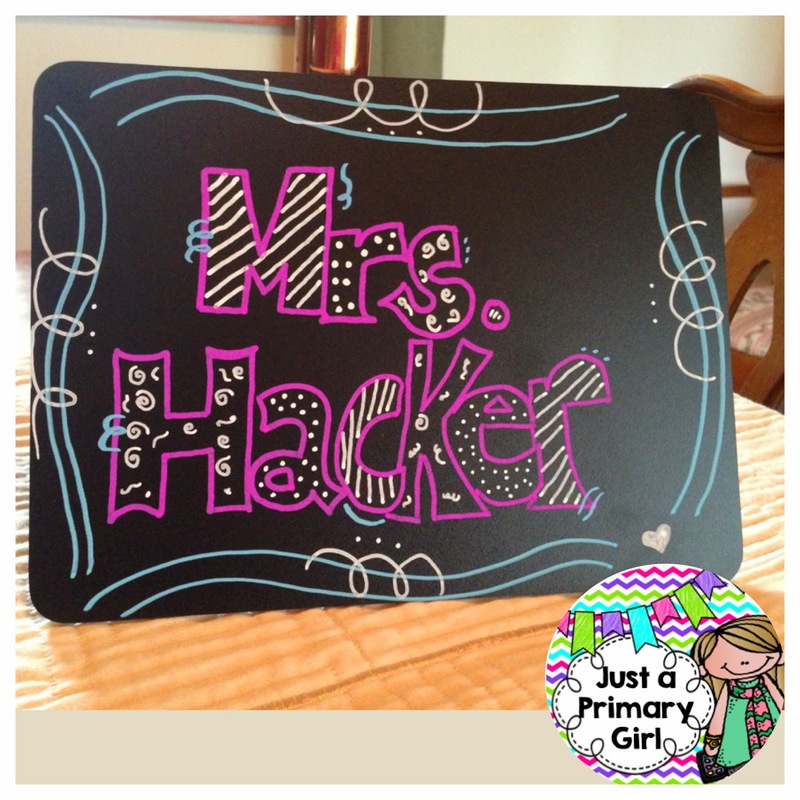 Those little chalkboards are too cute! Thanks for sharing! Your room is so organized! It's awesome! 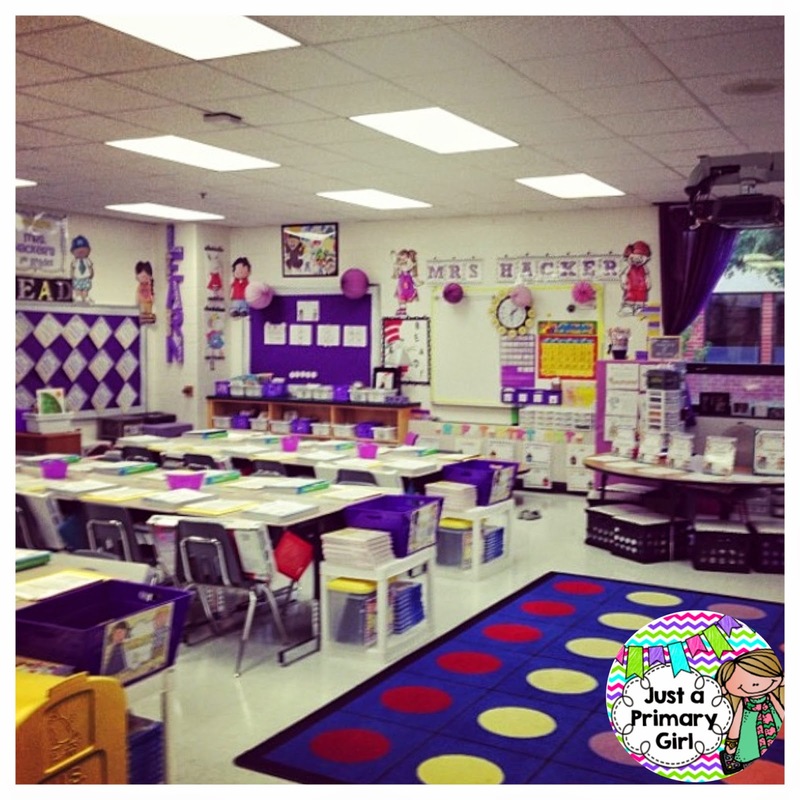 Where did you get those shelves at the ends of the desks? 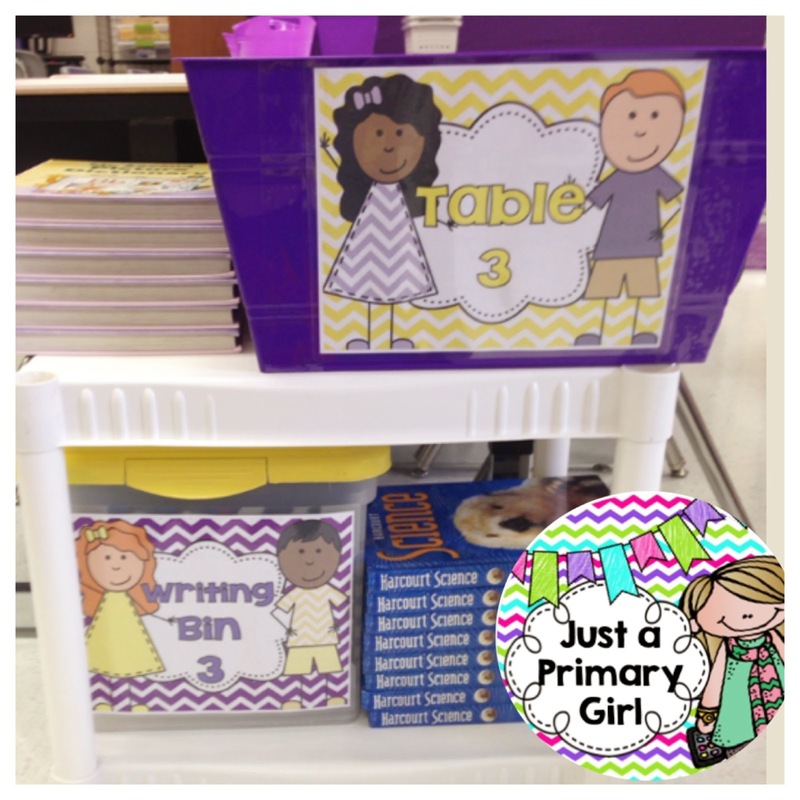 I'm looking for something to store my kiddos book bags and interactive notebooks.